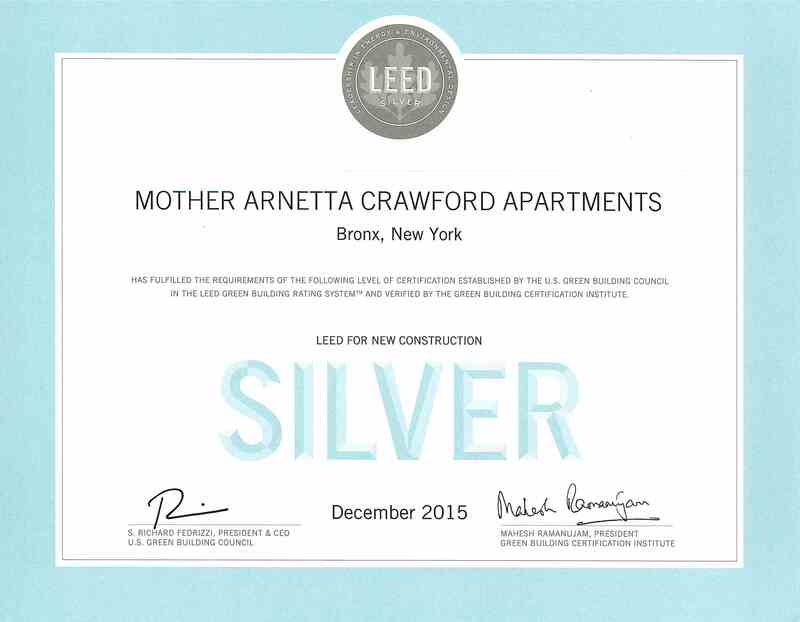 MacQuesten is proud to announce that Mother Arnetta Crawford Apartments in the Bronx has been Leadership in Energy and Environmental Design (LEED) certified. 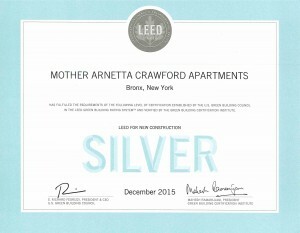 Mother Arnetta Crawford Apartments received a silver rating for its green initiatives and resource efficiency. LEED-certified buildings use less water and energy, and they reduce greenhouse gas emissions – all money-saving efforts. Mother Arnetta Crawford Apartments is located at 1500 Hoe Avenue. It features 84 affordable housing units, Modern Italian kitchens with bamboo flooring and anti-microbial corridor floors. According to its website, LEED prides itself on being the most widely used third-party verification for green building.